Custom arch for life preservers, search lights, and emergency warning light. 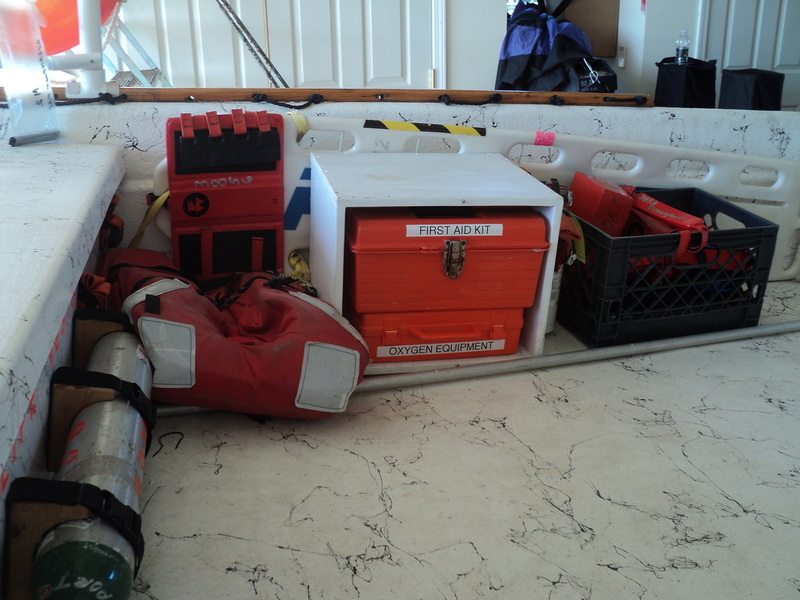 Our marine unit is fully equipped to handle all medical emergencies on the water. 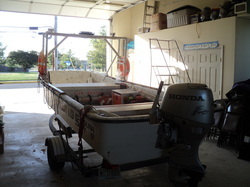 In addition, it features special equipment to safely removed injured victims from the water. Outfitted with a large oxygen cylinder, it can provide oxygen for three times longer than standard portable cylinders. The radio on the marine unit has our normal dispatch channels in addition to the standard marine frequencies so that we can communicate with other vessels and our dispatch services simultaneously.